Looking for the Perfect Vacation Vehicle that has lots of Room! This is one is perfect for the kids!! Features Include: DVD Rear Entertainment, Cashmere Frost Beige Exterior and Light Cashmere Beige heated leather seating, Heated steering Wheel, Blind Spot Monitoring, Back-Up Camera, Stow-N-Go Seating, On Star Communications, Bluetooth, XM Radio, and Much more!! 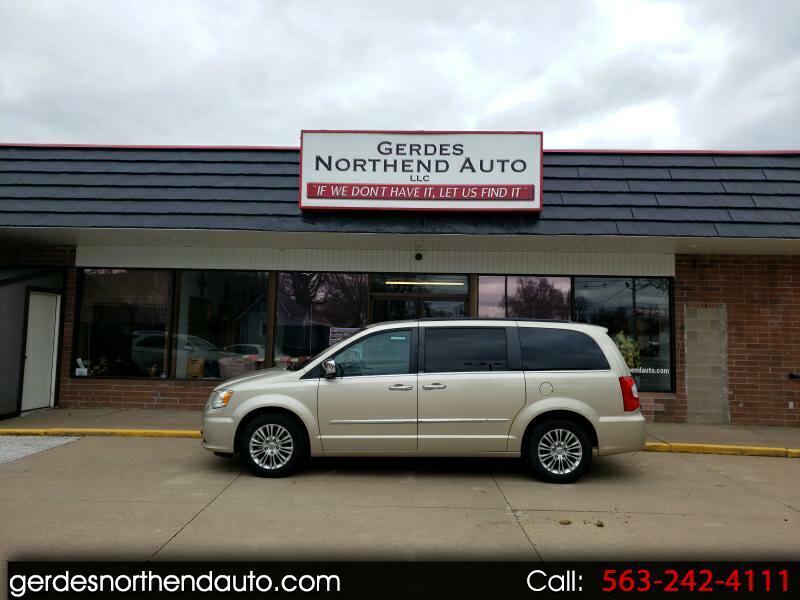 Visit our website www.gerdesnorthendauto.com for more information and photos on this or any other of our vehicles or call us today at 1-888-242-4171 for a test drive! Message: Thought you might be interested in this 2013 Chrysler Town & Country.